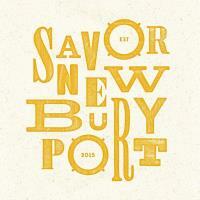 Savor Newburyport, brought to you by the Greater Newburyport Chamber of Commerce & Industry, is a 10-Day Celebration highlighting Greater Newburyport's exceptional food and creative libations while enjoying unique shopping and cultural experiences. Participating eateries will showcase unique fixed-price offerings for all or some of the following: Breakfast, Lunch, Dinner, Dessert, Coffee, Ice Cream, Beverages, Breweries, & Wineries. For the Application to Participate; Click Here. Choose your favorite location or try new ones. Greater Newburyport hosts a variety of eateries to sample & enjoy. You have 10 days of Gourmet Delights to Savor. Bring your whole family, and/or join your friends for this appetizing event! Check out this special offer from The Essex Street Inn! 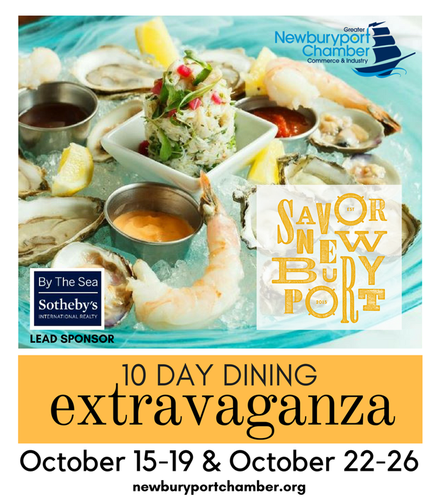 We invite you to stay and play with our Savor Newburyport Autumn Midweek Special, because there is still so much to do and see in Newburyport this October!